(Jan. 16, 2014) — Next week, University of Kentucky students will have an opportunity to learn how to gain global skills and make a difference in the lives of others. 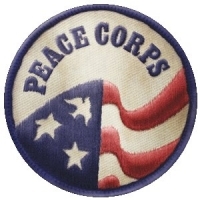 An information session about joining the Peace Corps will take place from 5 to 6 p.m. Thursday, Jan. 23, in Room 408 of the Stuckert Career Center. Represenatives from the Peace Corps will discuss the personal and professional rewards of international outreach and service work, along with career advantages and higher education benefits that come with Peace Corps service. More than 8,000 volunteers of all backgrounds and ages are serving in a variety of fields in more than 75 countries through the Peace Corps. Volunteers must be U.S. citizens and at least 18 years of age, but there is no upper age limit. As a Peace Corps volunteer, one helps a community in need, gains valuable cross-cultural skills, and becomes a citizen of the world. Other benefits include full health and dental coverage in service, graduate school programs, and federal employment advantages.